Taking off from Australia we touch down in Christchurch on the South Island of New Zealand. New Zealand is about the size of California, and roughly the opposite configuration (‘cause we’re south of the equator). 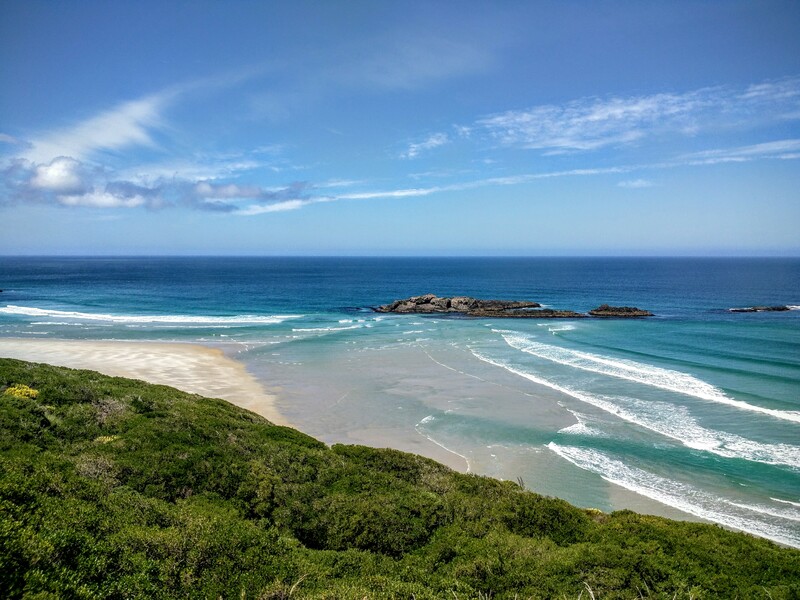 The more crowded, warmer, subtropical North Island dominated by the biggest city Auckland, and the rainy, rough, rugged landscaped South Island. View of the 12,217 ft Mt. Cook called Aeoraki by the native Maori people. Landing late in Christchurch, we caught a nights rest before meeting the third member of our NZ adventure, Red Rocket. Rocket, is a minivan, a right-hand drive 2002 Toyota Estima with 320,000km to be precise. He is what the Kiwi’s call a campa, a sleeper van for traveling the countryside. Inside, the back seats of Red Rocket are taken out, and replaced with a platform and a double bed. Under the platform was a 50/50 split, with a mini fridge on one side and a open space for a camping stove and kitchen utensils on the other. Accessing from the back was a storage locker, perfect for our packs and all our clothes. 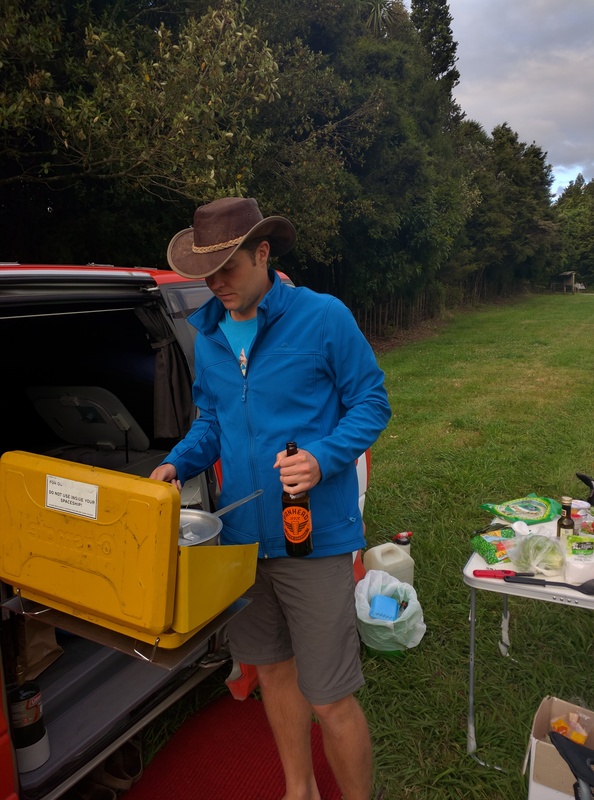 We spent a day in Christchurch loading up on supplies and winter clothes, which we haven’t needed so far, and the next morning we were off for what was 20 days and nights in Red Rocket. 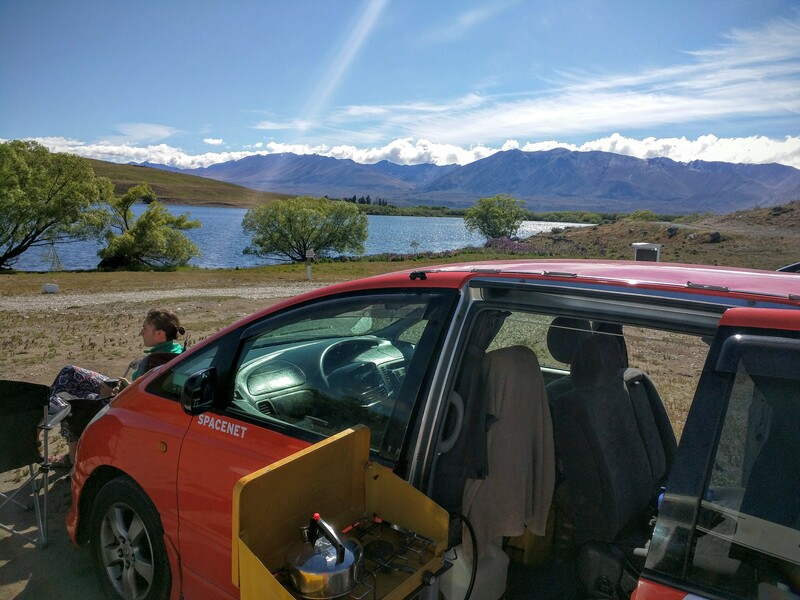 First up we drive to Lake Tekapo, a ethereal blue lake where we spent our first night. Still getting the hang of the van, we ended up sleeping with one of the doors partially open. Temperatures dropped to almost freezing and we spent the night huddled together trying to keep warm. Leaving the lake, we visited the worlds southern most observatory for our first of many breath taking NZ views. The next day we drove to the base of Aeoraki or Mt. Cook, Oceania’s tallest mountain. 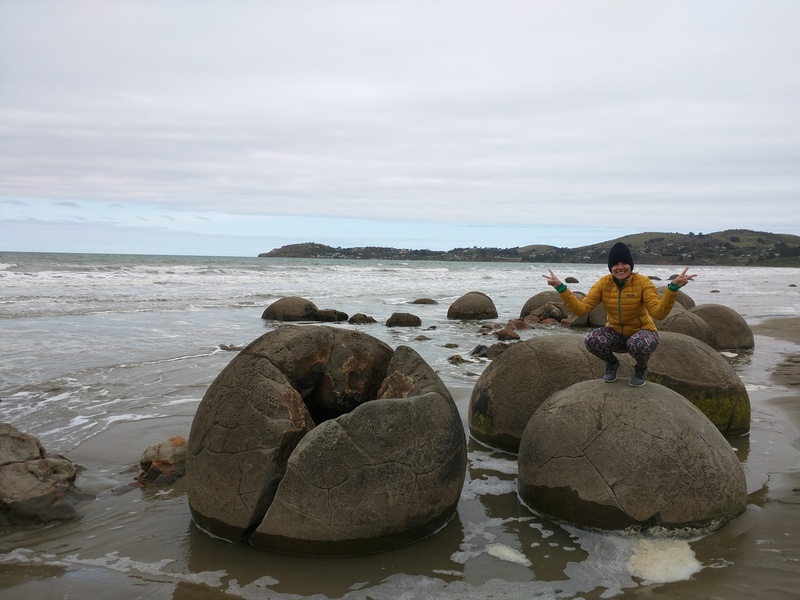 Rambling on, we drove to the coast to see the Moeraki boulders. Massive geode like rocks found on a beach, very strange and a nice detour after hours in the car. Just down the coast from the boulders, was a lighthouse that provided a home to the world’s rarest penguin. 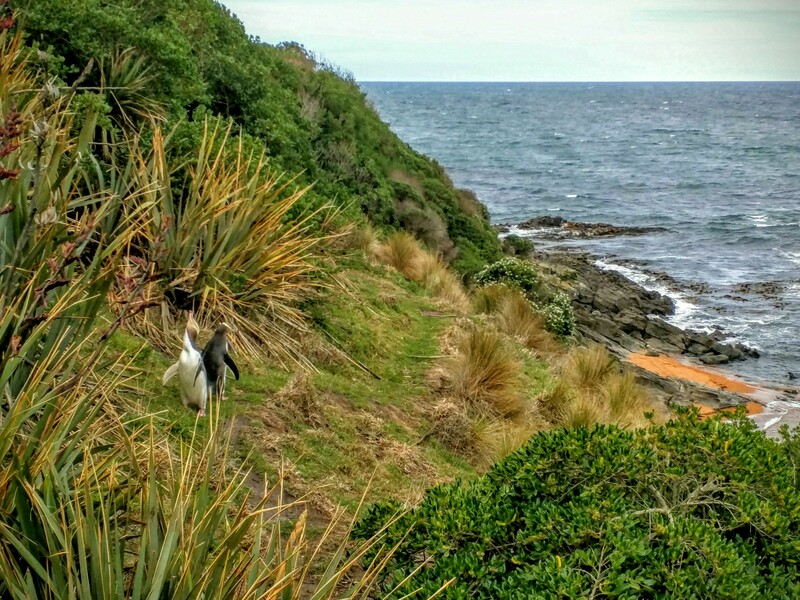 The yellow-eyed penguin only exists in a few places around the South Island. Our first time seeing wild penguins, pretty sweet! After 3 nights roughing it out of the van, we needed to resupply and shower, so we headed to Dunedin to stock up and do some work. Dunedin nicknamed the Edinborough of the south, was settled by Scottish castoffs and is now a hip college town. Just outside of town, we stumbled upon this amazing looking beach. Too bad the water is like 50 degrees. 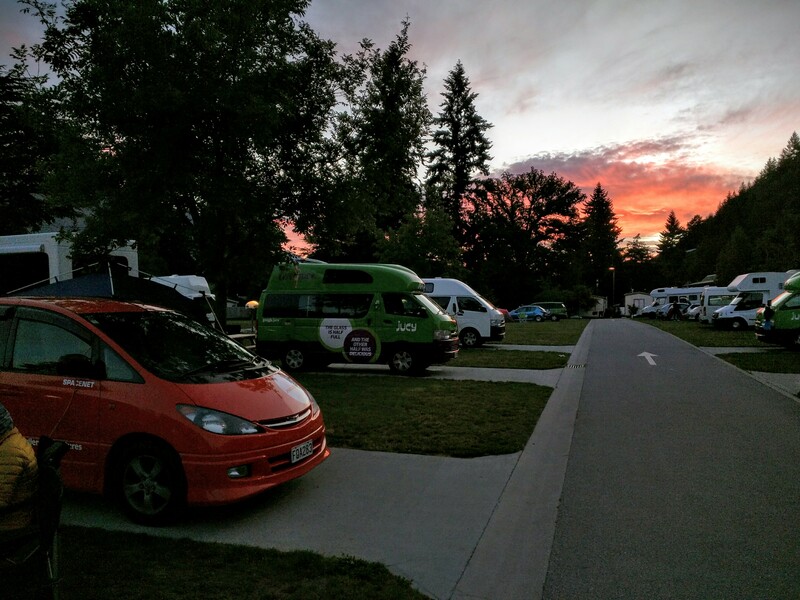 For the record we split our 20 nights in Rocket between “campsites” which are cheap like $10 a night with little to no amenities, and “holiday parks” running about $40 a night and feature kitchens, showers and power plugs. Two of the parks even had onsite natural hot springs! 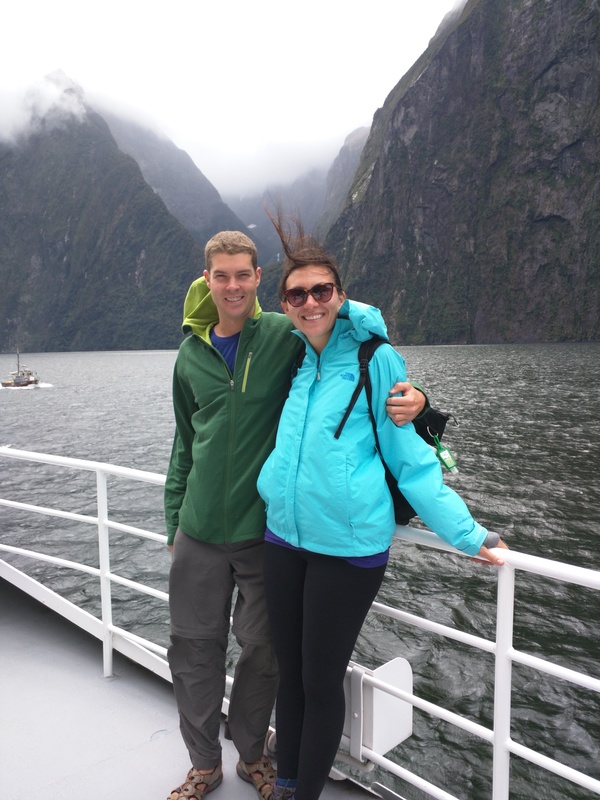 After refueling in Dunedin, we headed off for Fiordland National Park and Milford Sound. New Zealand is known for its natural landscapes, so when its said Fiordland is the undisputed standout destination, that says a lot. 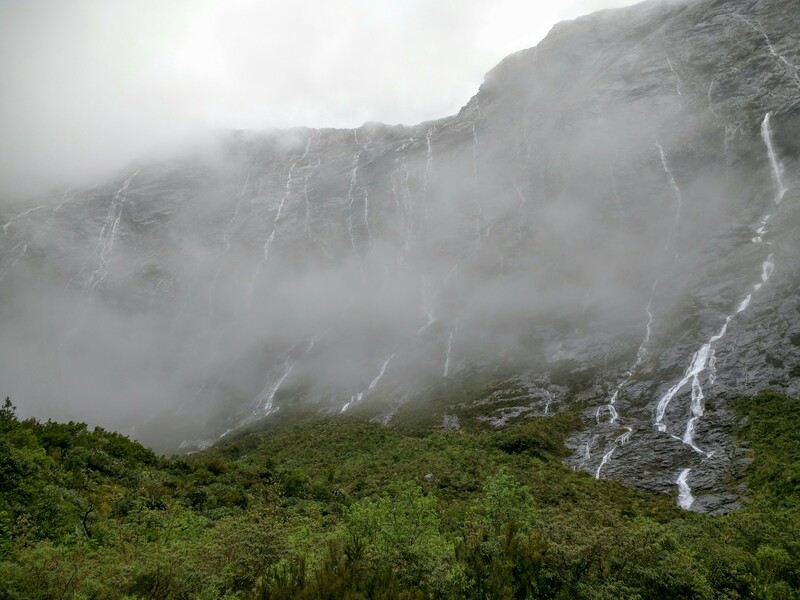 Driving through the park to Milford Sound, takes you through the park and a breathtaking landscape with literally thousands of waterfalls. We spent 2 nights camping in the park, awesome to get to wake up in the wilderness. Not something we’ve gotten a ton of on this trip. It was a little windy on the sound! The cruise on the Milford Sound is epic. It’s one of the top things to do in New Zealand, and it’s totally deserved. 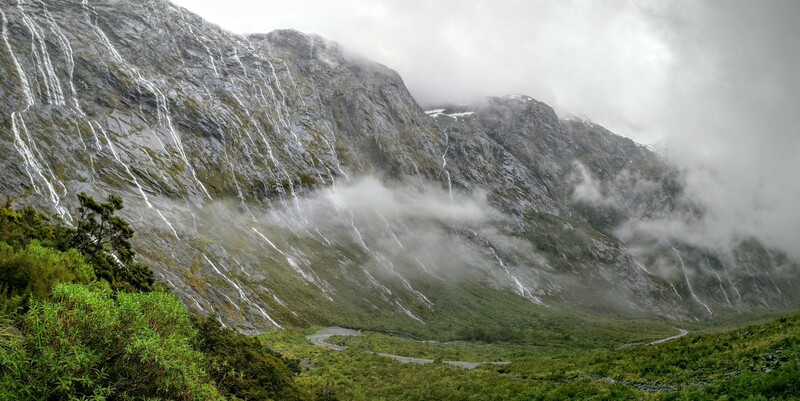 Towering waterfalls plunge from misty peaks into the sound. Lush forests cling to solid rock faces, while seals and penguins hunt in the deep. 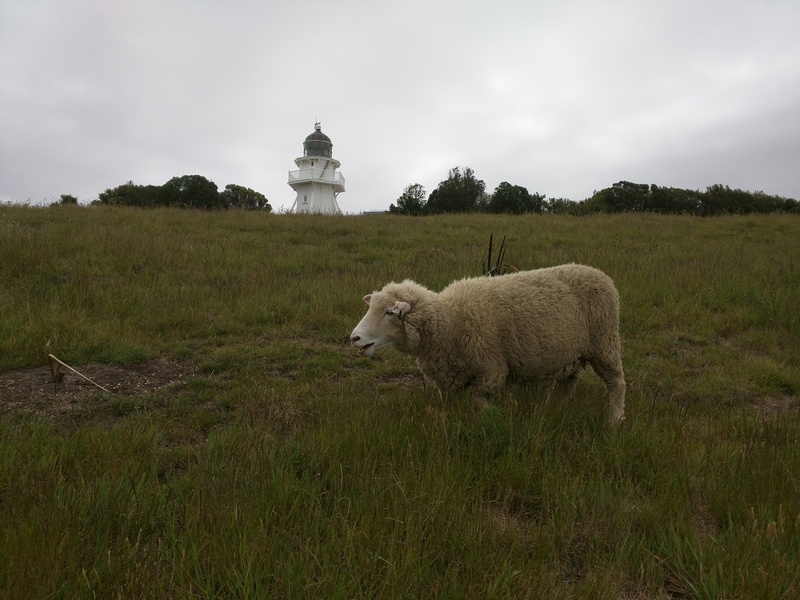 No roadie in New Zealand is complete without mentioning the sheep. Holy sheep, there are millions of them and you see them all the time. Luckily that means tons of awesome wool products. They even sell possum/wool blend goods that are made with fur from the invasive possum. Cruising out of Fiordland National Park, we head for Queenstown, the adventure capital of the world. Queenstown is where they invented bungee jumping, since then they’ve grown to offer just about every adrenaline rush in the world. 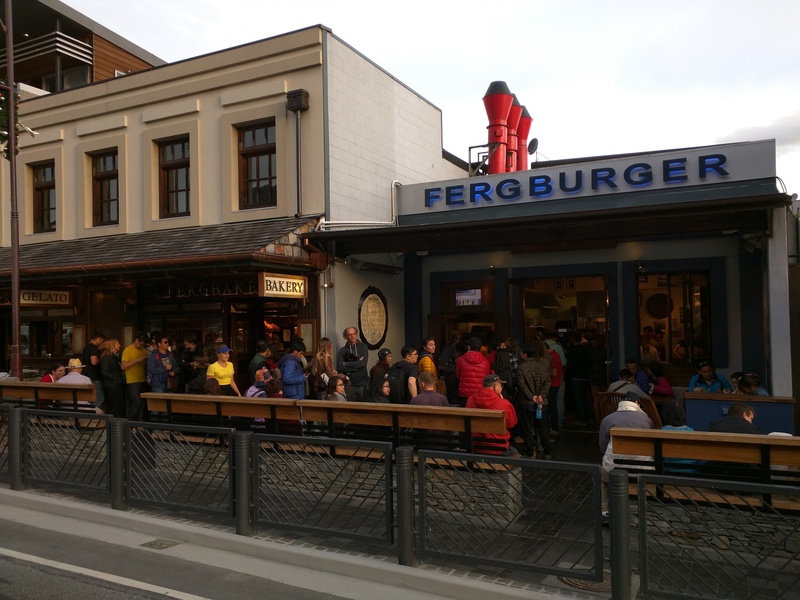 Voted best burger in the world, the owner refuses to open a second location. So if you wanna try one, you gotta come to Queenstown. We booked a hang-gliding trip but because of winds we couldn’t go on either of the days we were there. 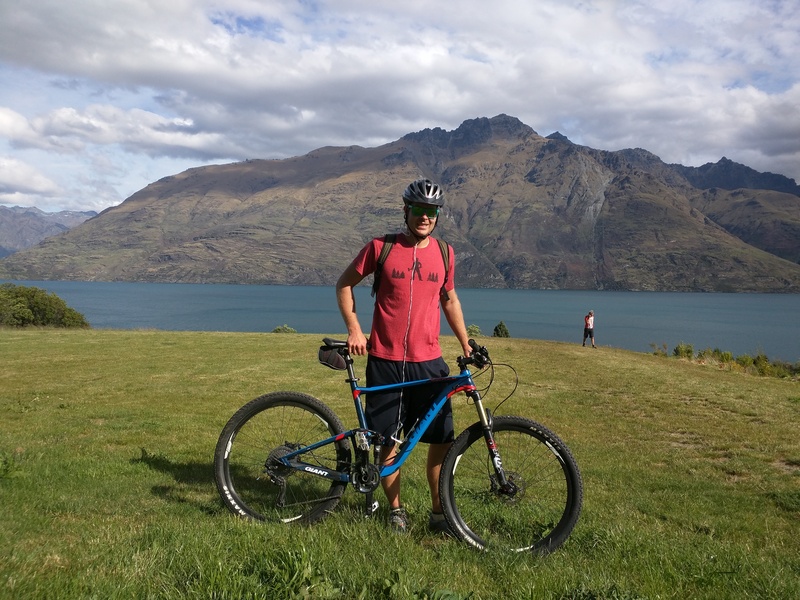 So instead Dan rented went mountain biking instead. 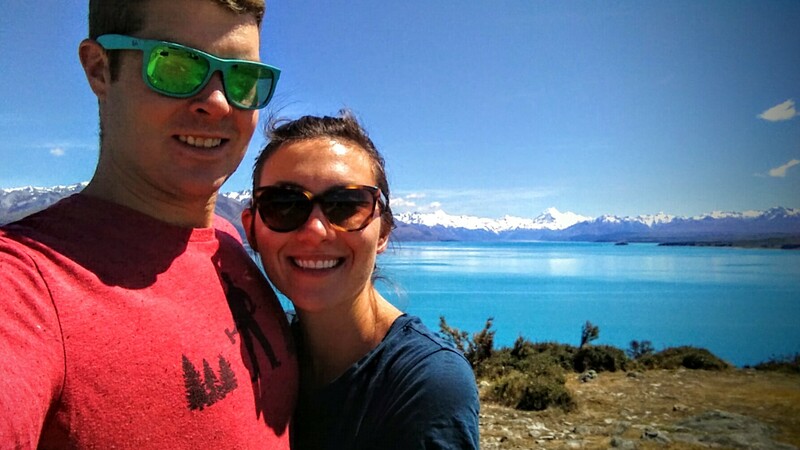 After a couple days in Queenstown, we packed up Rocket and cruised up the coast towards the Glacier district. 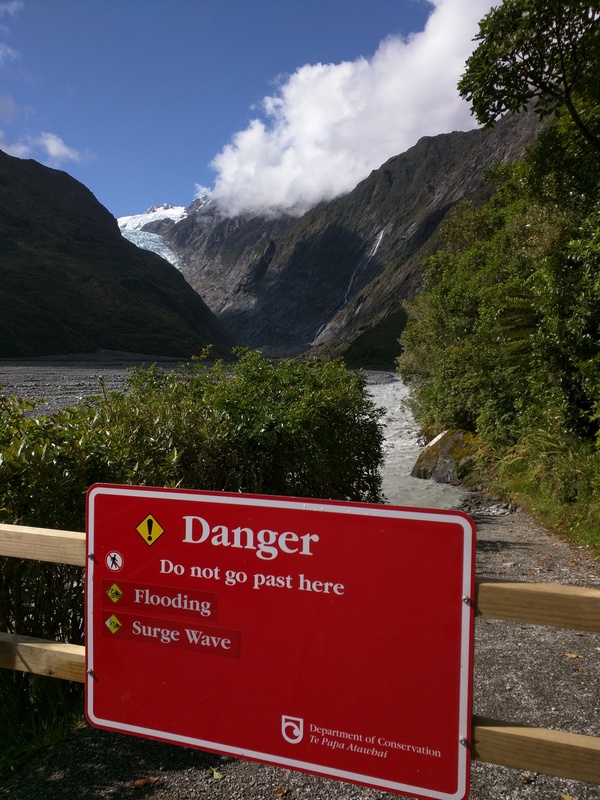 Unfortunately this is as close as we could get to the Franz Joesph glacier cause the river was raging, but still cool to see. 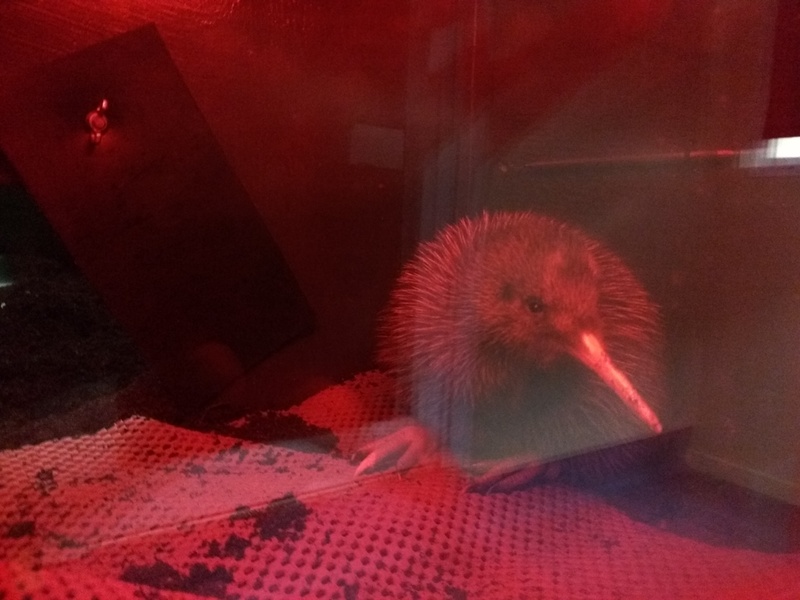 Franz Joesph is also home to an endangered Rowi Kiwi breeding center. Kiwi’s are awesome, baby kiwi’s are ridiculously cute. The breeding center helps hatch over 100 chicks a year, raising them to about 1 year old before releasing them. 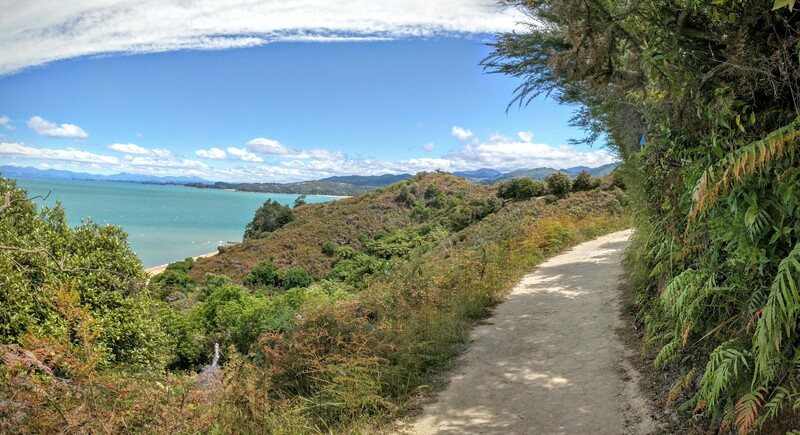 Heading north we took New Zealand’s great ocean road towards Abel Tasman. A beautiful drive, but it was one of our longest days on the road at about 6 hours. 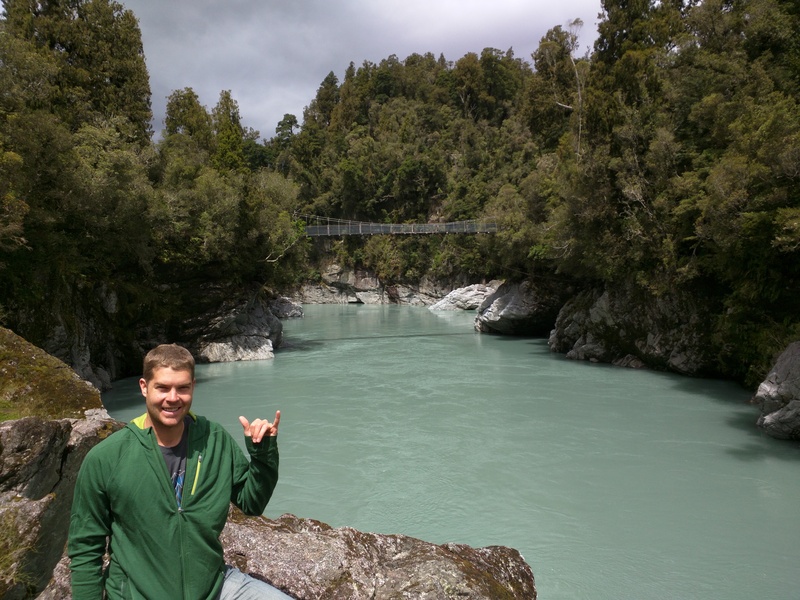 We broke up the drive by taking a detour to see Hokitika Gorge. It was a bit cloudy, but we’ve heard the water sparkles turquoise blue here like no where else in the country. Our long drive the day before was so that we could get to Motueka for an early morning boat ride into Abel Tasman National Park. 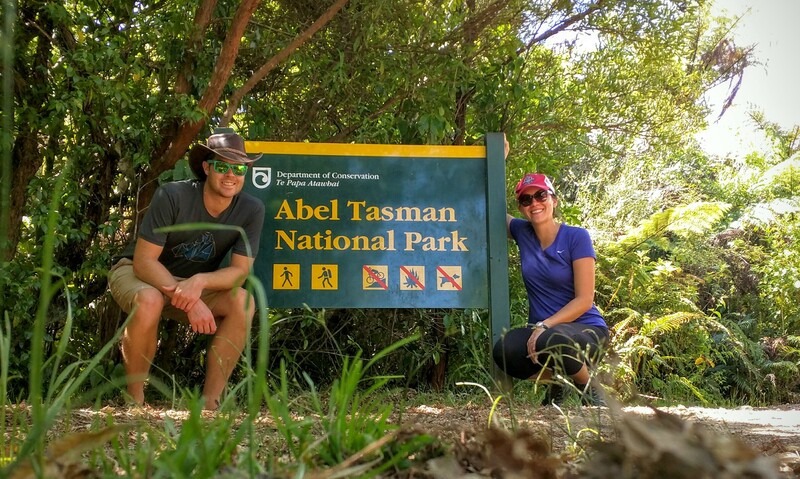 The park is on the top of the South Island and is home to the most popular of New Zealand’s great walks, multi-day hikes through breath taking wilderness. We didn’t have time to do a multiday tramp (yes, that’s the kiwi word for hike) but Dan talked Kristin into an 11.5 mile tramp. Really cool because you hire a boat to drive you into the park drop you off on a beach, and you walk back out. 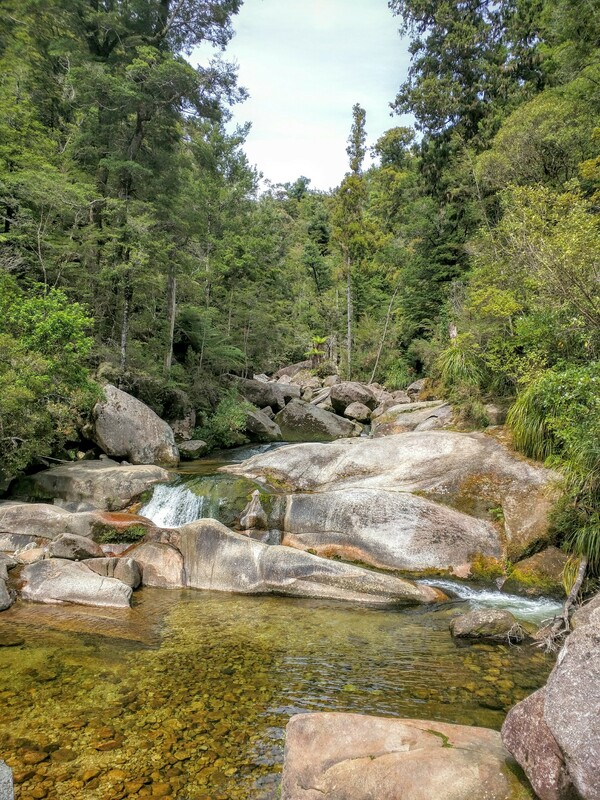 The most famous spot in Abel Tasman is Cleopatra’s Pool. Even though it was overcast, Dan couldn’t resist a dip. Behind the rocks is a sweet natural water slide. The water was freezing, but all worth it. 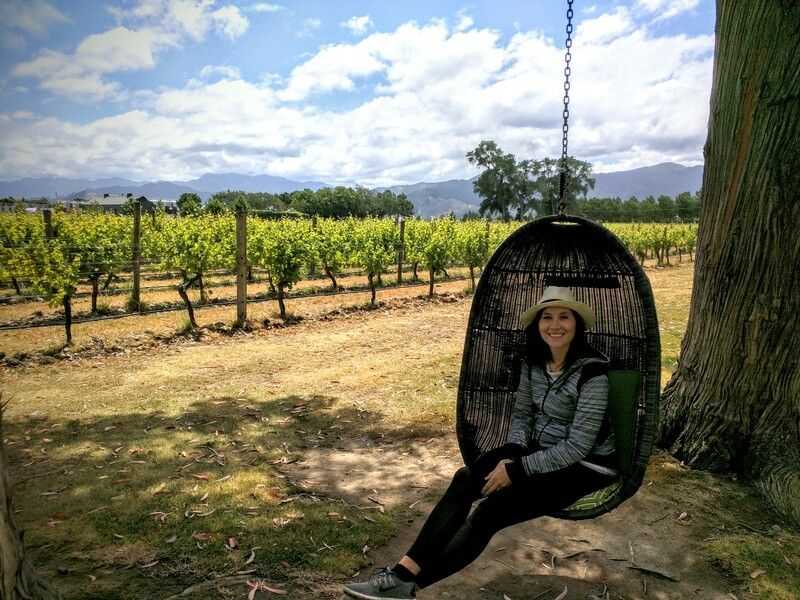 Cruising east from Nelson, we headed into the heart of New Zealand wine country, Marlborough. Like a laid-back version of Sonoma, staying in town, you’re only a short drive (or ride) from 20 – 30 great wineries. Plus, there’s a couple breweries snuck in there. Moa makes beers and ciders you can sometimes find around Denver. 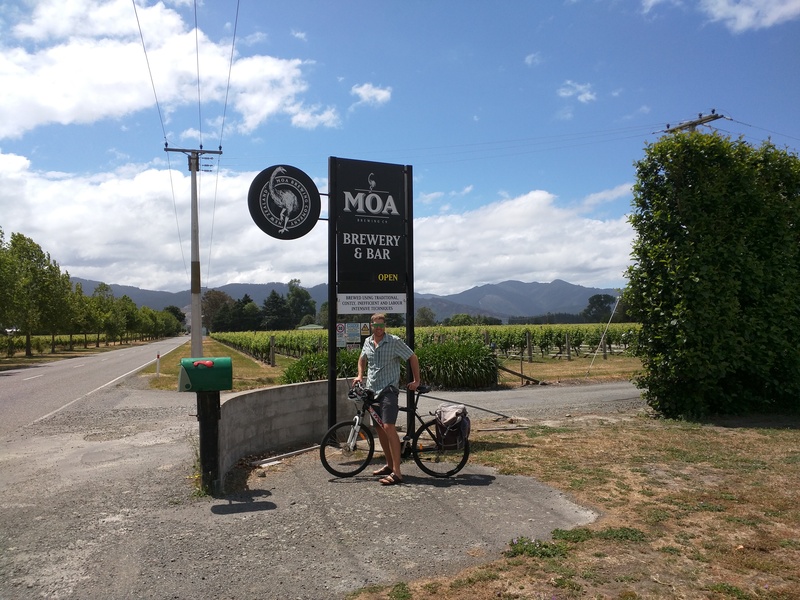 It was really a great day riding around learning about wine and tasting Marlborough wines. 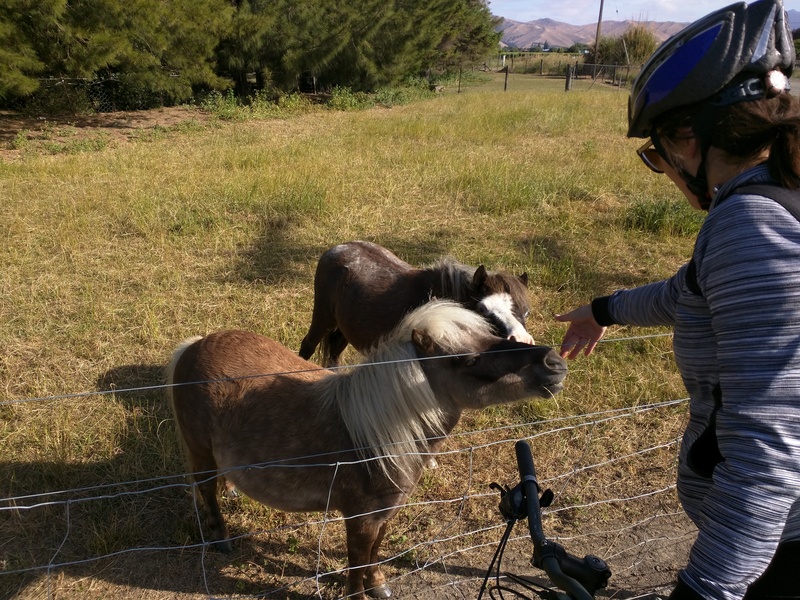 Kristin just had to get a pick with the mini ponies! Known for Sauvignon Blanc, Cloudy Bay put Marlborough on the map. We stopped by to try their wines, and crush local oysters at their raw bar. Kristin took some time to kick back in their adult swings. Next day, we put Rocket on the Interislander and cross the Cook Strait to the North Island.